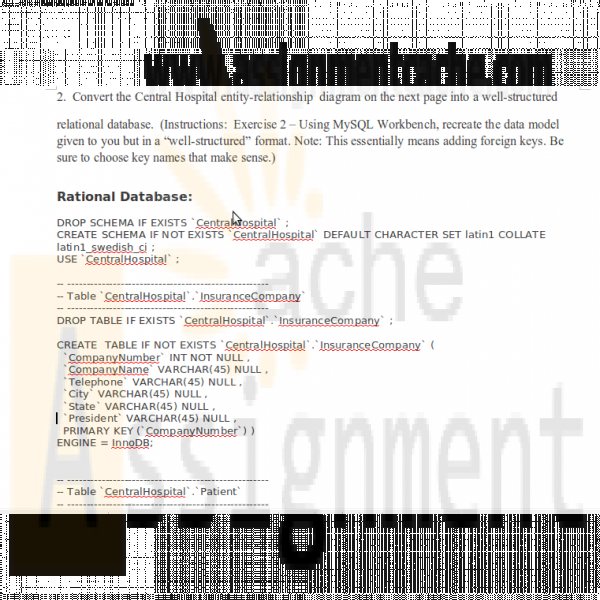 Exercise 2 – Using MySQL Workbench, recreate the data model given to you but in a “well-structured” format. Note: This essentially means adding foreign keys. Be sure to choose key names that make sense. 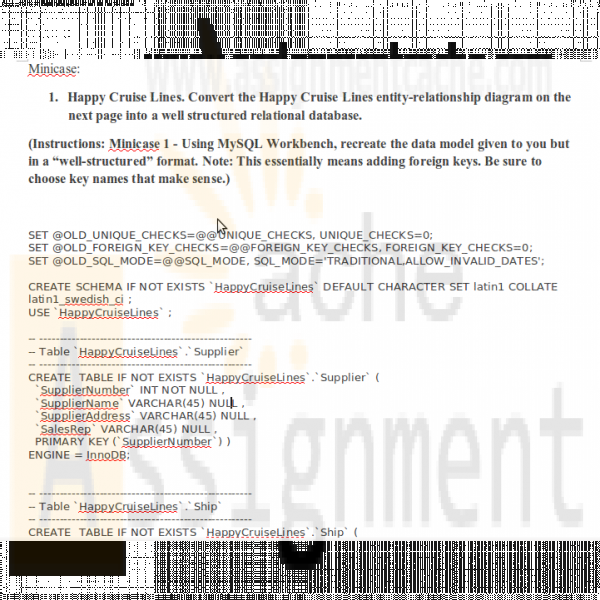 Minicase 1 - Using MySQL Workbench, recreate the data model given to you but in a “well-structured” format. Note: This essentially means adding foreign keys. Be sure to choose key names that make sense. 1. Happy Cruise Lines. 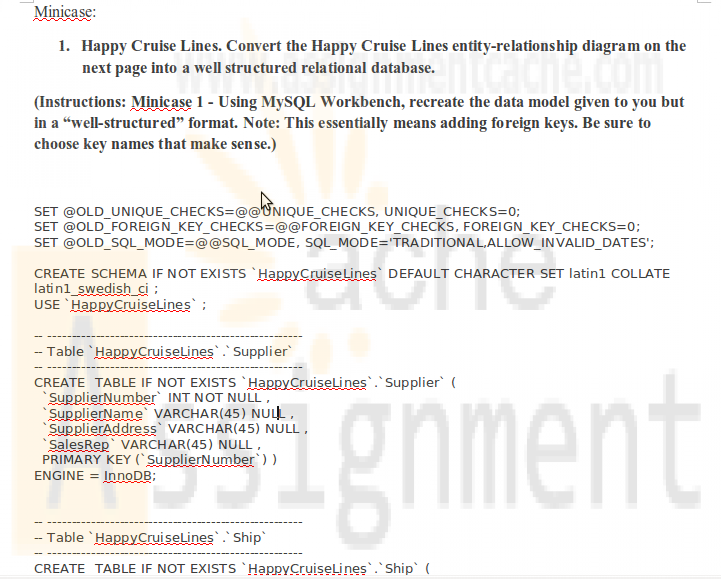 Convert the Happy Cruise Lines entity-relationship diagram on the next page into a well structured relational database.